Campoamor Airport Transfer Shuttle 20€. Cuidad Quesada (Arcos) Airport Transfer Shuttle 18€. Dehesa Del Campoamor Airport Transfer Shuttle 20€. La Zenia Airport Transfer Shuttle 20€. Pilar De La Horadada Airport Transfer Shuttle 24€. Playa Flamenca Airport Transfer Shuttle 20€. San Pedro Del Pinatar Airport Transfers Shuttle 24€. Torrevieja Airport Transfers Shuttle 18€. Villamartin Airport Transfer Shuttle 20€. Private (taxi) transfers are also available if you prefer a door-to-door service to private addresses and cost from just 60€ for a 4 seater! WINTER From November 1st until March 31st for flights arriving or departing between 09:00 and 21:30. SUMMER From April 1st until October 31st for flights arriving or departing between 09:00 until 23:59. 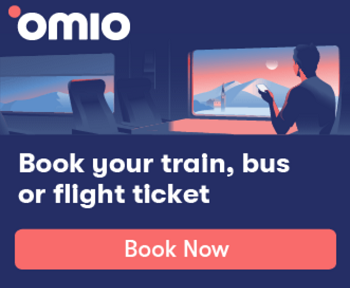 This new service operates daily and can be booked online up to 24 hours before travel. We recommend booking earlier to avoid disappointment. 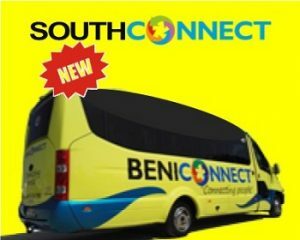 The SOUTH CONNECT shuttle is a convenient way to Transfer to or from Alicante airport, with a journey time of about an hour depending on the time of day, number of passengers and your pick-up or drop-off destination.